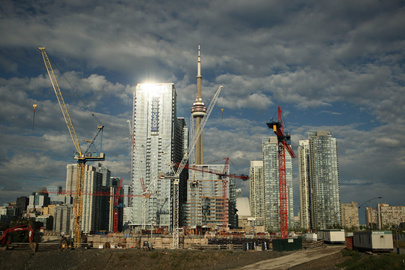 "As the Bank of Canada and other market watchers keep a wary eye on Toronto housing, condo buyers are out in force. Indeed, the market for new condominiums in Canada’s biggest city appears headed for one of its best-ever years. Average selling prices rose by 3 per cent from a year earlier, to $555 a square foot, while those for unsold units increased by 2 per cent to an average $571."